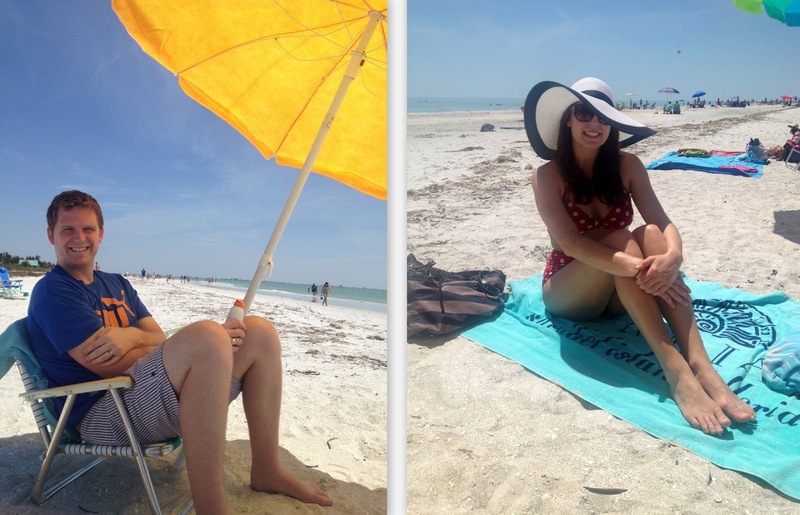 Call Me Mrs. Rapp: Spring Break in Sanibel! I hope you all had a wonderful Easter, rejoicing that He is risen! John and I just got back from a fun and relaxing vacation on Sanibel Island. We spent five days with John's grandparents and had an absolute blast. I've shared some highlights of our trip below, and I wish we were back there already. Here's hoping for warm, spring-like weather in April! We were treated to a fantastic meal our first night on the island. 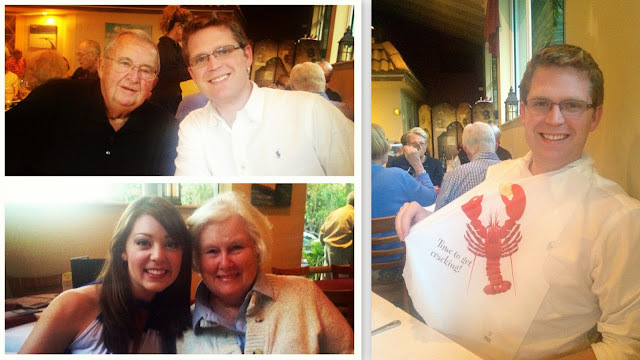 Mimi and Papa took us to Windjammer, known for it's amazing seafood selection, especially its fresh lobster, flown in from New England. Papa insisted we order it, and John and I happily obliged. I haven't had fresh lobster in years and years, and this was absolutely delicious! Our second night was equally special! John took me to Sanibel for the first time four years ago. Mimi and Papa brought us to a wonderful restaurant with live piano and jazz music. The pianist and singer was so talented, but the restaurant closed by our next trip. Mimi and Papa remembered how much I loved the artist, that they took us to The Roadhouse Cafe in Ft. Myers, where the same artist performs twice a week! I thought the music would be enough, but the food was too die for. I highly, highly suggest the scallops if you ever make a trip. Best ever! We enjoyed fresh and fabulous seafood each night the rest of our trip. In between those delicious meals, we went to the outlet malls (my favorite! ), watched movies, saw a dinner theater of The Sound of Music, and spent quality time at the beach. What could be better? Enjoying some sun, especially with my new sun hat from the Saks outlet! Thank you, thank you! Hope all is well as you get ready for your big move!